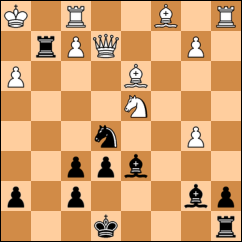 Hint 1: Black can force mate. Hint 2: Every move is a check. 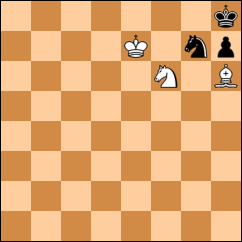 Hint 1: Pawn and queen are enough to mate. 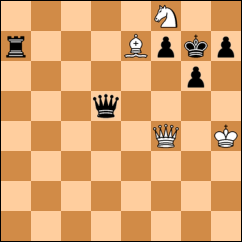 Hint 2: Reposition the queen to deliver mate. 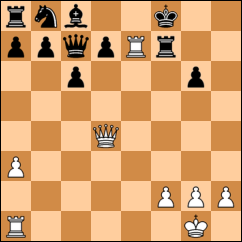 Hint 1: Activate your queen. Hint 2: Do not be afraid to sacrifice material. 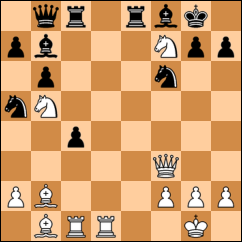 Hint 2: White has a key bishop check to force black's king up the board. Hint 1: Calculate the checks first. 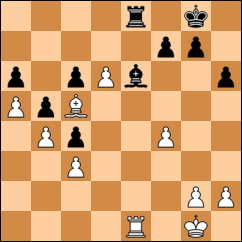 Hint 1: Break down black's defenses. 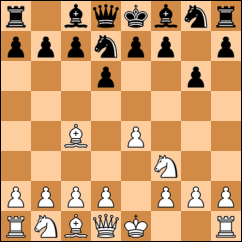 Hint 2: Find a way to get that pawn rolling. 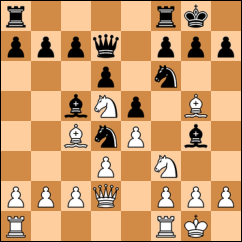 Hint 1: White uses a common tactic to win the black queen. Hint 2: Start with a sacrifice. 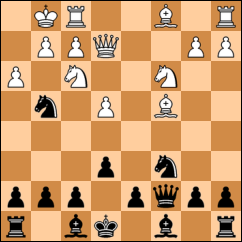 Hint 1: Lure the black king into the center! 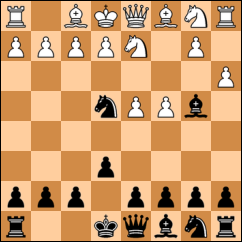 Hint 2: Lure the black king even farther into the center. 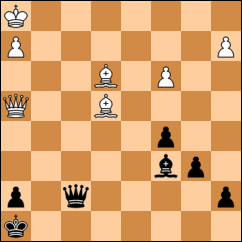 Hint 2: Black's king can flee into the center, but then you can activate your queen. 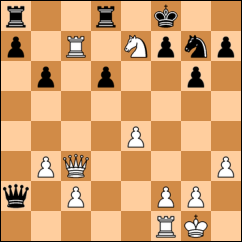 Hint 2: Bring your queen into the attack! 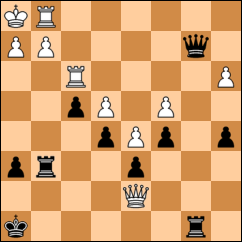 Hint 1: First, rip open the black kingside. 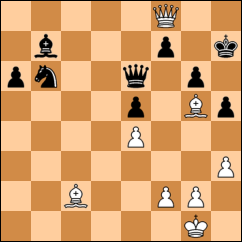 Hint 2: Later, a key rook invasion threatens mate with the b1 bishop. 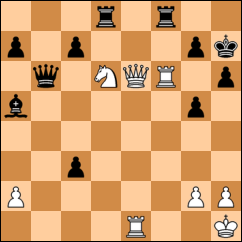 Hint 1: White wins with a double rook mate. 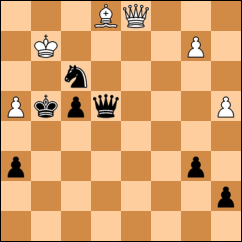 Hint 2: First lure the black rook onto the eighth rank, then lure the Queen away from the defense of e7. 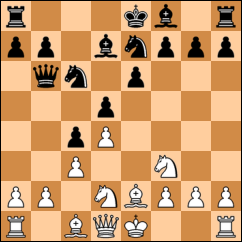 Hint 1: You only need the minor pieces to checkmate! Hint 2: Look for a powerful discovered check. 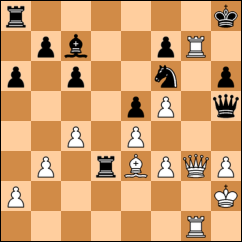 Hint 1: Break open black's kingside. Hint 2: Get your queen in the game. 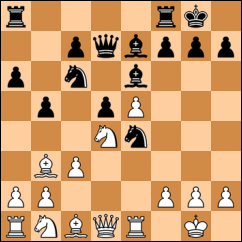 Hint 1: The first move is a clearance sacrifice. 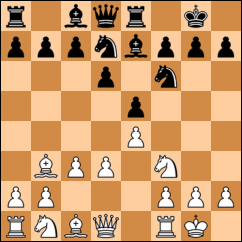 Hint 2: You only need a bishop and king to mate! Hint 2: Don't be afraid to sacrifice some material. Hint 1: Prepare some deadly pins. Hint 2: Start with a capture. 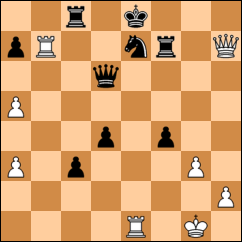 Hint 1: Lure the black queen away from defense by activating your light squared bishop. 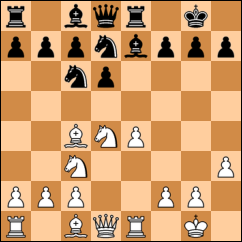 Hint 2: On the third move, Bf6 loses...do you see why? 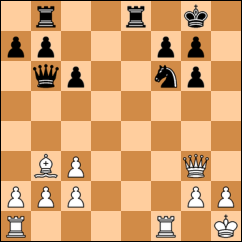 Hint 1: White has mate in two. 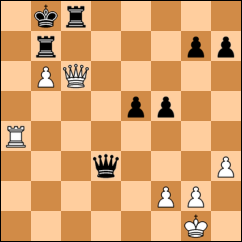 Hint 2: How would white win if the g7 rook was missing? Hint 1: Break the pin. Hint 2: Prepare a deadly fork.